As consumers are becoming increasingly discerning over the levels of sugar in their diets, the ability to customise a drink to taste is likely to be a great asset to the brand. Image: Kolibri. The non-ready-to-drink (non-RTD) segment, which has struggled in recent years due to a lack of convenience, could see a resurgence thanks to innovative new bottle designs. A key development has been Kolibri, whose new bottle and cap allows consumers to control their sugar intake. The brand’s botanical-based drinks come in 300ml glass bottles, designed by Beatson Clark, with the cap containing nectar with which consumers can sweeten their drink. As consumers are becoming increasingly discerning over the levels of sugar in their diets, the ability to customise a drink to taste is likely to be a great asset to the brand. This will be all the more important given the increasingly bespoke and individualised tastes of the modern consumer, which have been seen through the rise of craft products in both the beer and soft drinks markets. Such innovations could reinvigorate the non-RTD soft drinks market, which has been struggling recently, falling by 11% in volume from 2007 to 2017, while RTD soft drinks have grown by 7% in the same period. This trend is in part due to a lack of convenience, which the bottle addresses through the two-part bottle design, storing liquid in one part and flavoured sweetener in the cap. However, another key factor is the budget and mass-market image associated with non-RTD products such as fruit powders and squashes. And by offering a premium innovation focusing on consumer choice, flavour and individuality the non-RTD segment may have found a way to change conceptions around the segment. 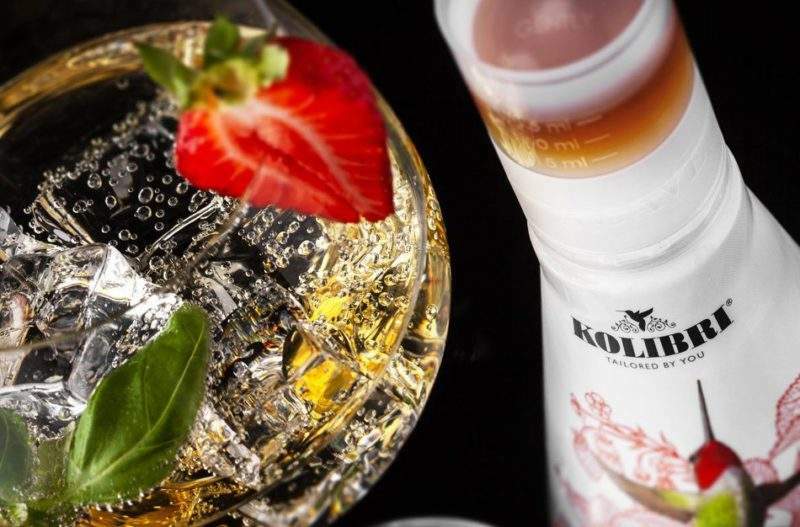 The Kolibri range is comprised of three flavours; elderflower and lime, strawberry and basil, and cardamom and chilli. The nectar is made of agave, lemon juice, apple and caramel. The glass bottle is, on average, made from 30% recycled material. The products are currently available in the UK at Gaucho Restaurants, M Restaurants and Champneys Hotels.